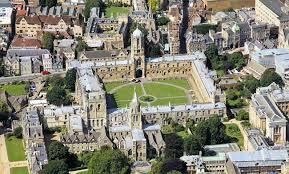 Oxford is a university town which has become quite popular with tourists. As soon as people hear the name Oxford they recognize it right away. This town might not be able to offer tourists all the excitement of London but it sure has some wonderful place to see and explore. 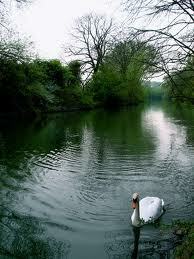 It also offers visitors a charming atmosphere and a chance for some relaxing sightseeing. Oxford counts as the oldest university town in the U.K. and it’s located around 50 miles to the west of the capital, London. This charming town is right on the Thames River. There are medieval churches and colleges which are full of lovely Gothic architecture. 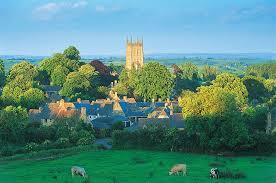 Oxford has an idyllic setting with rolling meadows and a quiet countryside. Oxford has a certain air of magic. If you wonder where author J.K. Rowling got her inspiration for hidden stairways, secret passages and unusual rooms then just wander about Oxford University. Among the 38 independent colleges which constitute the University of Oxford you’ll discover to your delight tiny wooden doors that are set in stone walls or between shops. These doors open out onto courtyards of palatial buildings giving one a feel of being in a magical place. A great many scenes in the series of Harry Potter movies were filmed in some of Oxford’s colleges and if you like there are tours which will show you the places where Harry lived. At Hertford College you will discover a quaint pedestrian bridge known as Hertford Bridge or the Bridge of Sighs. An unusual building to see is Sheldonian Theater. This theater was the first architectural commission for Sir Christopher Wren. Oxford graduation ceremonies are held here. Facing Broad Street there is a series of busts which all have unusual expressions and facial hair. Oxford University’s Taylorian Institute is a center for studying modern European languages and literature. You don’t want to miss taking a look at the library which has the largest specialist collection in its field in England. Pay attention to the neo-classical architecture. If you would like to get some great views of Oxford then head on over to University Church of St. Mary the Virgin. There from the tall church tower you can see breathtaking sights. The church is worth exploring as it dates back to the 14th and 15th centuries and there are amazing vaults and a lovely garden. If you want to relax and take a pause there is a coffee shop. Oxford University Museum of Natural History is home to the university’s scientific collection of entomological, geological, zoological, paleontological and mineralogical specimens accumulated over the past three centuries. If you are an art lover Modern Art Oxford has temporary exhibitions of photography and art by renowned contemporary artists. You can also take a pause in the great cafe here. The Museum of the History of Science can be found in the Old Ashmolean Building. Here visitors can see a collection of early scientific instruments. It is also a department of Oxford University and a public museum. It has an online database. After you have had enough of museums and buildings you can commune with nature and explore the University of Oxford Botanical Gardens. It is lovely there as you stroll among beautiful plants and blooms. Don’t forget to stroll in Oxford University Parks where they have paths for peaceful strolling along the Cherwell River which runs from Marston to the city centre. You can also opt to sign up for walking tours that last about two hours and start from St. Aldaltes near the city centre. This is a great way to be able to visit some of the famous colleges in this area. You can see the beauty of the surrounding nature and admire the incredible architecture. 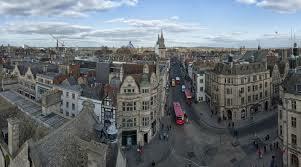 So once you are ready to stray away from the usual tourist sites have a look at the charming university town of Oxford.